Cheryl Broekelmann was invited to present her findings at the 14th annual ACI symposium on Cochlear Implants in Children (American Cochlear Implant Alliance) conference this week. Using an independent survey conducted by an outside firm, she evaluates the results of the survey distributed among ihear families in early intervention measuring their quality of life after receiving services for their child who is deaf or hard of hearing. 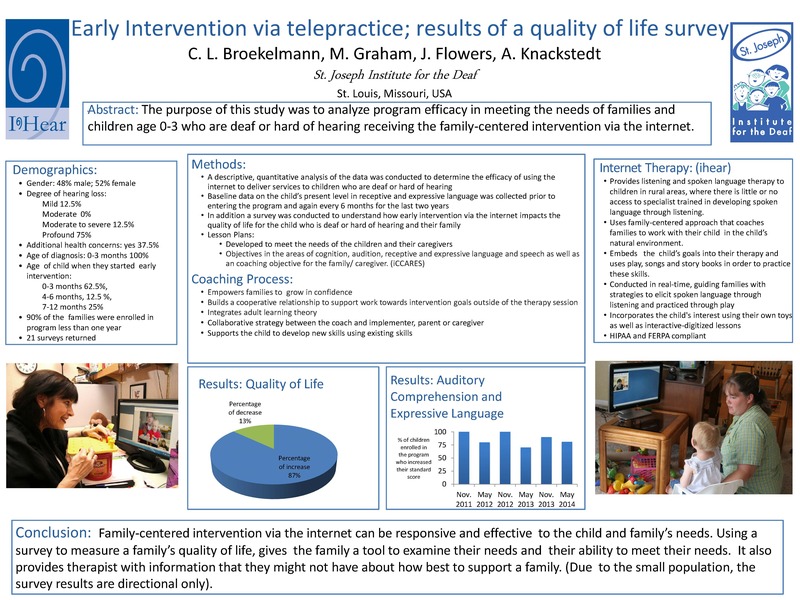 Broekelmann also analyzed the data to examine the effectiveness of family-centered intervention for their families and their children. ihear therapists continue to access this information to examine the effectiveness of therapy provided in children with deafness as it relates to increasing their auditory comprehension and expressive language. “We are excited to present our findings on this subject. 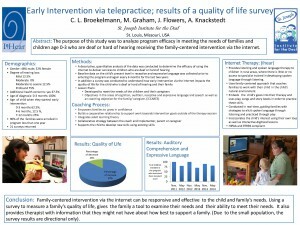 Our families are gaining real benefit from analyzing their quality of life as well as the therapist,” says Broekelmann.